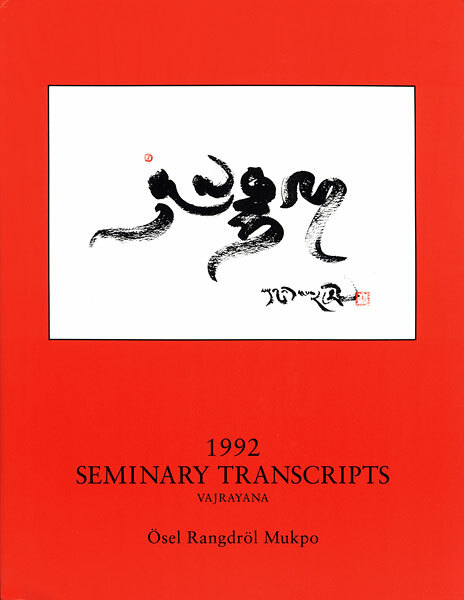 This is an edited transcript of the vajrayana talks given by Sawang Ösel Rangdröl Mukpo (now Sakyong Mipham Rinpoche) at the sixteenth Vajradhatu Seminary, an eleven-week period of intensive meditation and study held at Rocky Mountain Dharma Center (now SMC,) June - August 1992. The teachings emphasize devotion and ngöndro practice. 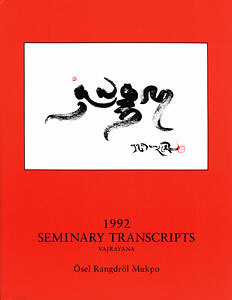 Includes a talk by Pema Chödrön on samaya.